Divorce FAQ: Can I Live in My Home during the Divorce? In many cases, couples decide to physically separate before filing for divorce. When one of the partners moves out of the marital home, it’s natural to wonder what that means for the divorce. Fortunately, you’re not giving up your rights to your house by moving out during the divorce. And whether you live there or not, both spouses are required to keep up the mortgage payments and maintenance until the divorce is final. In the majority of divorces with children, one of the parents remains in the marital home with the kids while the other one moves out. However, what happens to the house afterward depends on the situation. If finances allow, one of the spouses may continue living in the house until the children are grown. It’s also possible that neither partner will keep the house to ensure a fair distribution of assets. 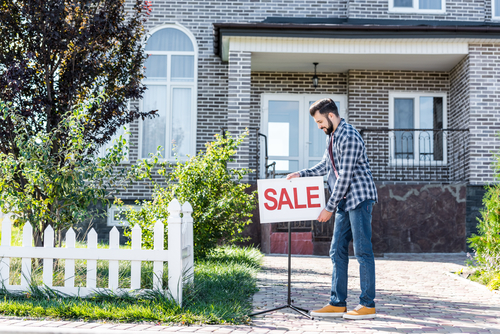 You can’t put your house up for sale while you’re going through a divorce unless you have your spouse’s permission or it has been ordered by the court. The house you live in is most likely martial property and equally yours and your spouse’s. Similarly, you can’t take out an additional mortgage on the home or skip the maintenance while you’re living in it and filing for divorce. Many divorces necessitate the sale of the family home, especially if neither party can buy the other party’s equity. Selling the house may also be a necessity if the mortgage payments aren’t affordable for either partner on their own. If you want to keep the marital home, it’s important to discuss this with your attorney. It may be possible to do so. If children are involved and the parents don’t agree on where the child should live, this matter may have to be settled by the court. Generally, the court will take into consideration what would be best for the child if the solution is financially feasible for the parents. If you have questions about what happens to your home during a divorce, the experienced staff at The Harr Law Firm is happy to help. They take the time to answer your questions about your pending divorce and help you achieve the outcome you are looking for. Give them a call or use the contact form to get in touch!